Getting its roots from Hawaiian culture, Stand up paddle boarding (SUP) is unlike the traditional form of surfing where a rider will sit until a wave comes. SUP involves an individual standing on a board while they use a paddle to propel them through the water. Paddling has recently exploded into popularity, quickly becoming a favorite water sports activity across the globe, and we can see why. It’s a great workout, enjoyable and even better, anyone can do it. If someone is wanting to get involved in the SUP world and are looking to purchase their first board, it can seem overwhelming at first. There are many factors to consider when choosing a board, but there are a few critical elements that one should consider when going to select their first board. One of the most important factors when looking to purchase a first board is the hull, or the body, of the board. The hull can affect how it acts once in the water and depending on what activities are being done, will greatly improve or worsen the ride. If paddling for the fun of it, trying out some SUP yoga or using it for surfing is the objective, a Planing Hull is the best option. Planing Hulls are wide and flat in shape, very similar to a surfboard and are designed to ride on top of the water and be easily maneuvered. On the other side, a Displacement Hull has a thinner design with a pointed nose, closer resembling a kayak. They are made to slice through water and waves, using the tipped nose to push water around and help improve efficiency and speed. They glide quicker and make for a smooth ride, but are usually more difficult to steer. The speed and sharp design of the Displacement Hull are for those individuals who are interested in fitness paddling or SUP racing. Prioritizing what the paddle board will be used for is necessary for deciding on whether to buy a Solid or Inflatable. Solid boards offer the best performance out on the water as they skim smoothly and at higher speeds with ease. They are very sturdy and make it easier to feel secure when riding the waves or going through choppier water. There are also more style options with Solid boards, giving more room to get a custom-tailored board based on the individual’s wants and needs. Although the name may seem misleading, Inflatable paddle boards are designed to inflate to 12-15 pounds per square inch and when fully inflated, are very rigid and sturdy. These boards are a great choice if someone travels a lot and needs to have that ease of transporting it from one place to the next. They are also great for SUP yoga due to the softer design, making them more comfortable while going through vinyasa flows and poses. All Around boards are the most popular style of SUP and can be used across a variety of activities. They are wider to help with stability but also longer which allow for smooth gliding through rougher waters and make great beginner boards. Surf SUP designs are similar in style to traditional surfboards but are thicker and wider. These are geared towards more advanced individuals. Yoga SUPs is a newer type that has become popular in recent years. It is designed for tepid, flat water and offers much stability. Touring boards are also designed for flat water and provide more width than some traditional boards to make them more accessible to all levels of paddlers. Fishing SUPs are typically a lot wider and have more volume giving them a larger weight capacity to haul more gear. Racing SUP Boards are typically a hard board or solid SUP with a longer and narrower board size the gives it speed and control to travel in straighter lines. 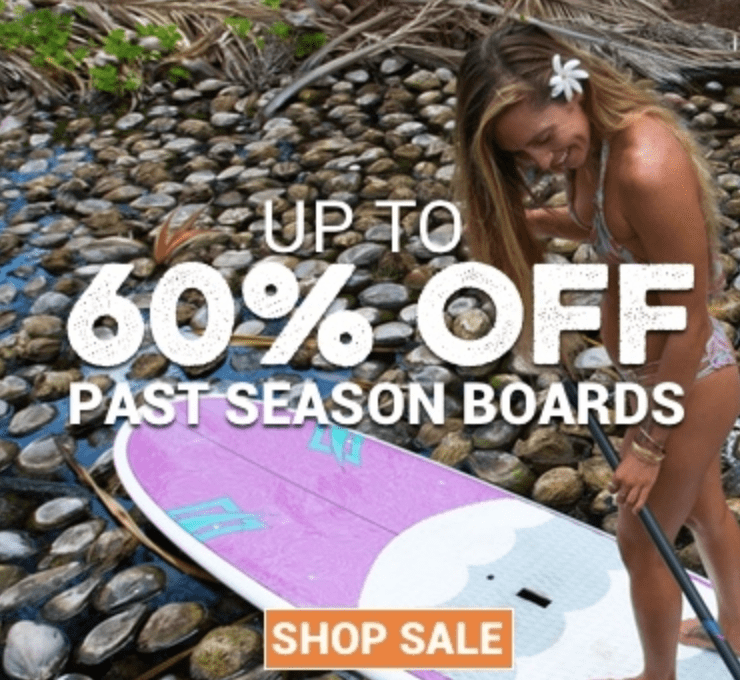 What Paddleboard Brands Are Best? We could fill a whole page talking about SUP Brands and we have over on this list of brands. Typically with standup paddleboards you get what you pay for. Not always, but most of the time. Very few times have a found an inexpensive board that has just blown my mind. SUP Leash: Never leave home without a good one! Board Bag: Will help protect your board during travel. Quality SUP Pumps: If you have an inflatable and a cheap pump, go buy a high quality pump. After Market SUP Fins: Buying some of these can change the whole performance of your board. SUP Paddles: There are many different types and you might want to experiment to find what you like best. Life Jackets: You should always have one on or close by at all times. Car Racks: You may need to buy some to transport your board. 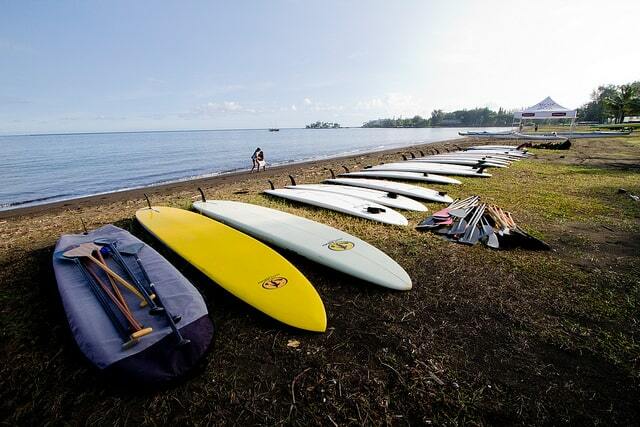 Choosing the perfect board comes down to the individual lifestyle of each person. How they plan to use it, their location and water type they’ll be going to, as well as their budget all go into the decision-making process. When considering buying a SUP board, it’s worth considering how you are going to transport it around. There are great options if you want to use your car roof to transport the SUP board. If there are still questions or a deeper dive into the styles and choices of boards that are needed, our friendly staff at SUP Boards Review will be happy to share their personal experiences and gathered knowledge to give the absolute best and up-to-date information on all things SUP. We hope you enjoyed our SUP buying guide. We wanted to make a comprehensive guide as many other buying guides seem to just push random boards on people. Please be sure when buying a SUP to take your time, test them if you can, and use your own judgement regardless of what we, or other SUP buying guides might say. Be sure to read our blog for more information on sup boards, sup fitness, and gear reviews.